IT WAS THEIR LOVE of traditional British men’s clothing that brought Jeremy Hackett and Ashley Lloyd-Jennings together when they met at London’s famous Portobello Road flea market in 1979. Later that year, the two of them went into business together, selling upmarket second-hand menswear at the same market. Four years later, they took the plunge and opened their first store. Here too, they started off selling high-quality traditional British clothing and accessories – all of it preloved. In 1985, the two founders decided to produce their first own collection. It was the birth of the HACKETT brand as we know it today. And yet HACKETT’s confidently stylish aura and classic design paired with the finest materials tend to conjure up the idea of a traditional, old-established company that has grown over many decades and been handed down from one generation to the next. This image is further cultivated by the brand’s nostalgic-looking logo, which consists of a bowler hat and two umbrellas. HACKETT’s rise to global prestige was a rapid one. In the late 1980s, a growing number of anglophile Europeans began to discover their love of British clothing. 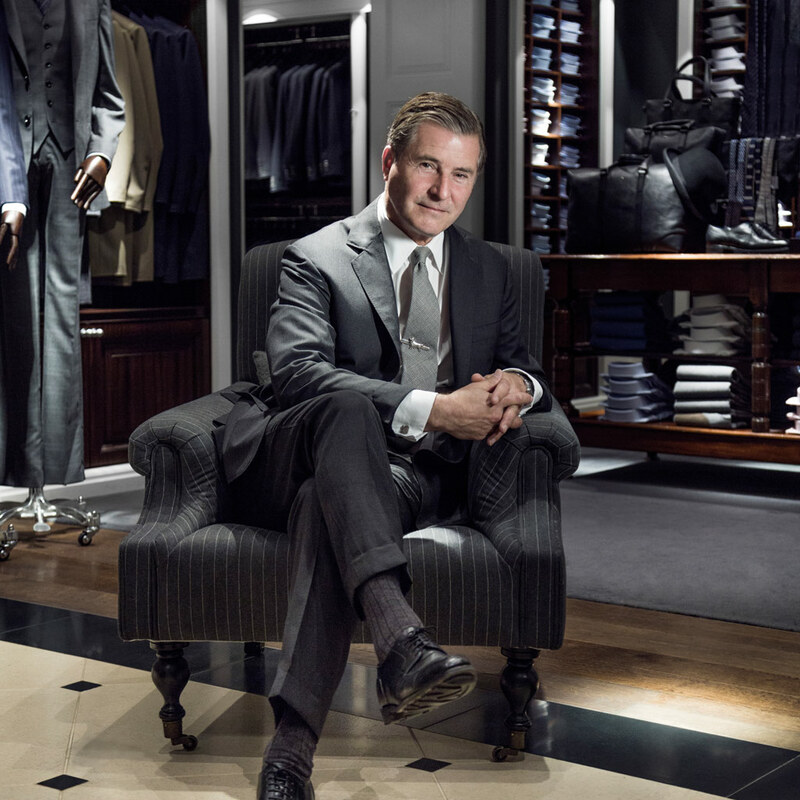 Stores opened in Madrid and Paris, and in 1992 HACKETT stepped onto a new and prestigious stage with its flagship store in London’s Sloane Street. But it was in 2005 that its global expansion really gained momentum: more and more stores were opened, giving the luxury brand a presence not only in numerous European countries but in Japan, South Africa, Kuwait, Dubai and Tokyo as well. Jeremy Hackett, always the perfect gentleman. His clothing and accessories are renowned all over the world. 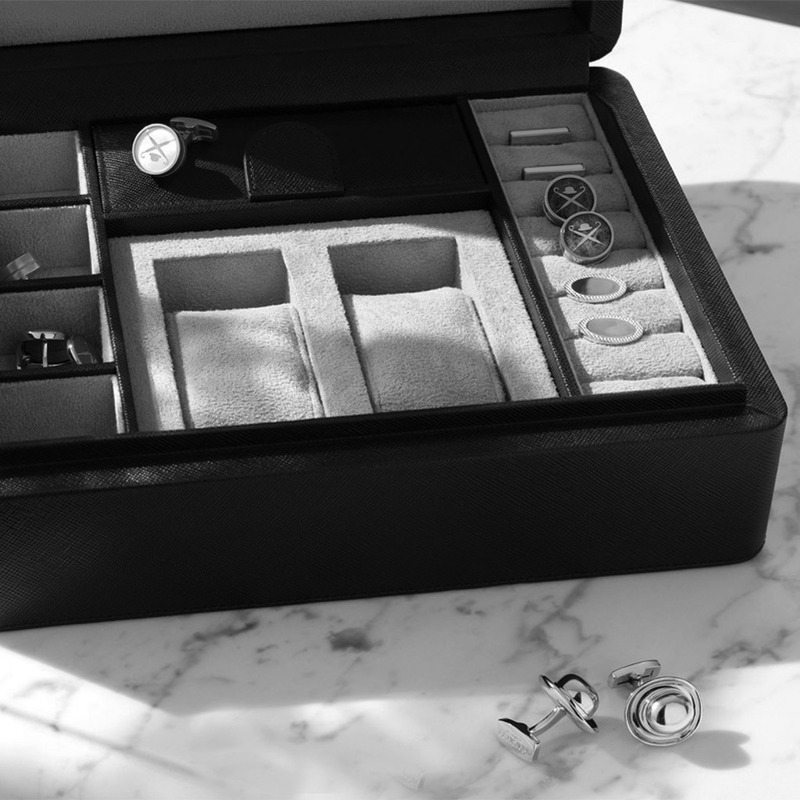 In the meantime, the modern gentleman with a penchant for British style can purchase his entire wardrobe from HACKETT, including accessories. There are three lines to choose from: Mayfair, the premium range with clear-cut shapes – superb shirts, blazers and suits, as well as chinos, jeans and leather jackets for the weekend; the casually elegant leisure collection, which goes by the name of London; and finally the Sport line, designed for the “urban athlete”. And if customers’ male offspring want to dress just like daddy, there’s the Essential British Kids collection as well. In 1987, a sponsorship enquiry from two army officers prompted the brand to start making sportswear. It was the beginning of the Hackett Polo Team, and the shirts were so popular that they soon went on sale in the stores too. Polo Team and Chelsea Football Club. Today sports sponsorship plays an important role at HACKETT, because Jeremy Hackett’s schedule echoes the sporting diary of the British upper classes: polo, rowing and rugby are a tradition in England, as are racing, football and tennis. This has led to a succession of new partnerships that have influenced the style of the collections. Jeremy Hackett’s label dresses such internationally famous world-class players and teams as Aston Martin Racing, the British Army Polo Team and Chelsea Football Club. For the last five years, HACKETT has also been the official outfitter of the prestigious EE British Academy Film Awards. A perfect alliance in view of everything the brand has in common with the event: success, style and tradition.